We are leading manufacturer of Grill Scraper. We offer Mason Square With Out Base to our wide list of clients. 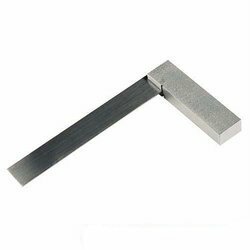 These try squares are designed using high quality alloy metals, which are in compliance with international engineering standards. Its heavy duty mason square is with out base and its andle is 90 degree we have as different sizes in this quare. The specialty of our company lies in providing an excellent quality of Wooden Gurmala, which is developed using high grade material to provide excellent quality and sturdiness. With our years of experience & in-depth knowledge in this field, we are engaged in offering a quality-assured array of Wooden Handle Gurumala. Since our inception, we are engaged in manufacturing, exporting and supplying high quality carpentry tools including karni. The introduction of new technology brings with it the development newer ideas that help our experts to manufacture these products of high quality. Available In All sizes . We introduce ourselves as the leading manufacturer and supplier of precision-designed Mason Hummer. 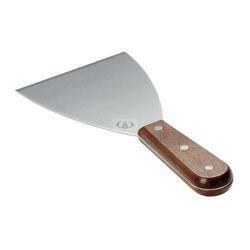 We offer Flat chisels with different different size.